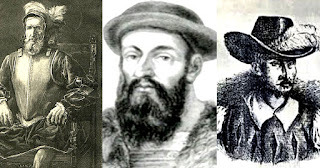 The three main characters of the initial Spanish exploration and subsequent conquest of Luzon – including Batangas – in 1570 did not even survive the decade. Miguel López de Legaspi, the first Hispanic governor of the country, lasted just over a year from the time he first arrived in Luzon in 1571 to claim it on behalf of Felipe II, the King of Spain. In that year, he had given the title of city to the colony of Manila, sent Spanish forces after native communities that were unprepared to accept the Spaniards’ terms of friendship and distributed natives and lands in the form of repartimientos and encomiendas to fellow conquistadores, including lands in the Bonbon area or what is now part of present-day Batangas. De Lavezaris’ term would last no more than three years, after which he would be replaced by Dr. Francisco de Sande in 1575. The three years of his governorship were notable for the further distribution of lands in the form of repartimientos and encomiendas; the continuous baptism of natives into the Catholic faith; and the exploration of Camarines and Ylocos (Ilocos). There were those among the Agustinian Order (who had arrived in the Philippines with de Legaspi in 1565), however, who felt that the manner with which Spanish forces had conquered lands and extracted tributes were unjust and went against Felipe II’s wishes; and it was because of these that de Lavezaris’ term was short-lived. 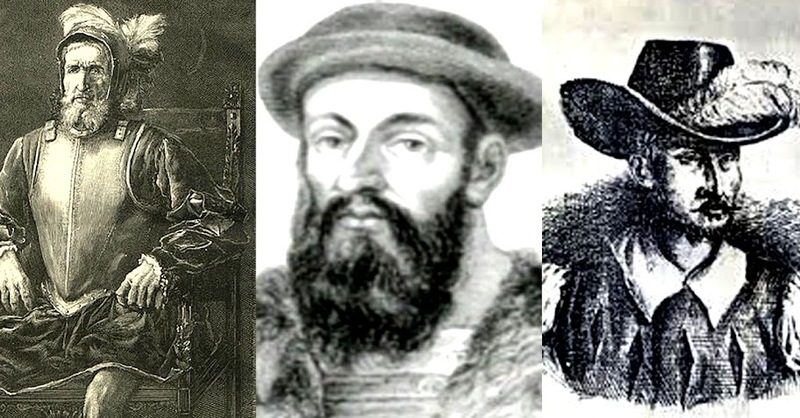 Meanwhile, Martin de Goite, Bonbon’s first encomendero and leader of the 1570 exploratory expedition to Luzon, was killed two years after de Legaspi died during a raid of Manila by the Chinese pirate Limahon (Limahong in some narratives). The pirate was wanted in China and was pursued by soldiers of the Emperor of China to Luzon. In September of 1574, he attacked Manila with a fleet consisting of sixty-two large ships. Although Limahon himself was believed to have stayed on board his flagship, seven hundred of his men went ashore to sack the city. De Goite was sick and in bed when the attack commenced. The Chinese, assisted by a spy, were initially headed for the house of the governor (de Lavezaris). They changed their course and headed for de Goite’s house, instead, when his wife was spotted looking out her window cursing at them in Spanish as they approached. De Goite was still able to put on a suit of mail (armour) and grab a sword, but was killed by the firebombs that the Chinese had hurled at the house. The pirates were eventually repulsed when the Spaniards, recovering from the shock of the attack, got their wits back. After a day’s rest off the coast of Cavite, the pirates returned; but by this time, Juan de Salcedo, the final major character in the early exploration of Luzon and Batangas, had arrived from Ylocos (where he had founded a settlement after having been awarded an encomienda) to help with the fortification of the city. The second attack failed as well, after which Limahon and his fellow pirates retreated to found a settlement in Pangasinan. De Salcedo, who in 1570 earned the distinction of being the first Spaniard to explore the lake of Bonbon (Taal), was promoted to the position of master-of-camp (the equivalent of colonel) after de Goite’s death and ordered by de Lavezaris to pursue the pirates. The Spaniards caught the pirates by surprise initially and were able to capture or destroy their ships. Later, they would lay siege to the settlement, all the while killing or capturing many of their enemies. Limahon, however, evaded capture. In 1576, de Salcedo returned to Villa Fernandina (Vigan), the settlement in Ylocos he had founded, to collect tribute from the natives of the encomienda which he had been awarded. While there, he caught an illness of the sort “that kills old and young.” He died shortly after catching the illness, having survived a poison arrow in Bonbon 1570 but finding the illness more than he could handle. 1 “Las Nuevas Quescriven de las Yslas del Poniente,” by Hernando Riquel and others, as published in the Blair and Robertson series “The Philippine Islands” Volume III: 1569-1576. 2 Affairs in the Philippines After the Death of Legazpi, by Guide de Lavezaris, as published in the Blair and Robertson series “The Philippine Islands” Volume III: 1569-1576. 3 Along with other details of the attack on Manila by the pirate Limahon, from the “Relation of the Philippine Islands,” by Dr. Francisco de Sande, June 7, 1576, as published in the Blair and Robertso series “The Philippine Islands” Volume IV: 1576-1582. 4 Census of the Philippine Islands (Taken Under the Direction of the Philippine Commission in the Year 1903), Washington, 1905.